Welcome to eulacmuseums.net – the website where you will discover the world of small, local museums and their communities in Europe, Latin America and the Caribbean! We are a consortium of academics, museum professionals and policy makers who are committed to community museology making a difference in the world. As Scotland’s first university, the University of St Andrews has established a reputation as one of the world’s leading research and teaching centres. EU-LAC MUSEUMS is coordinated through the Museums, Galleries and Collections Institute (MGCI) located in the eminent School of Art History. Museums, Galleries and Collections Institute (MGCI) oversees the overall management and administration of EU-LAC MUSEUMS project, and is leading on new research into museum education for social inclusion and cohesion. ICOM’s network of members is structured in committees working in cooperation. The 119 National Committees ensure that interests of the organisation are managed in their respective countries and contribute to the implementation of the organisation’s programmes. The Regional Alliances are forums designed to promote dialogue among the National Committees of a given region. The 30 International Committees are global think tanks bringing together experts in different museum specialties. The National Archaeological Museum was founded in 1893, joining the past (archeology) and present (ethnography) with the intention of representing "the Portuguese Man". Throughout its history has maintained close ties of collaboration from north to south and still today is the most local of all national museums. It is therefore in the best to support and promote the community movement of museums in Portugal. Universidad Austral de Chile is committed to the heritage and cultural legacy of southern Chile, where its headquarters and campuses are located. Founded in 1954 in the city of Valdivia, the University has responded to the growing needs of the organized community, mainly in the fields of education, research, culture and production. Its mission and vision are aimed at generating constant links with society and the disciplinary, technological, artistic, productive or professional scene. The National Museum of Costa Rica was created in 1887, its mission is to protect the cultural and natural heritage for the knowledge, valuation and enjoyment of present and future generations. Due to its national character and its legal responsibility to the country's heritage, the MNCR has had different relationships and collaborations with the country's museums. The University of the West Indies (UWI) is a multi-campus regional university serving the English-speaking Caribbean countries. The UWI campuses include: The Mona and Western Campus located in Jamaica, St Augustine and Penal Campus located in Trinidad and Tobago, the UWI Open Campus with campus sites throughout the Caribbean region and the Cave Hill Campus in Barbados. This regional campus has witnessed the ever-growing international student population, and as such the Campus is now home to students from over 35 countries. century place the PUCP as the first house of studies in the country, and of great positioning at Latin American and world level. 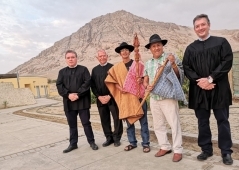 For thirty years the university has been generating and supporting projects that link the intellectual and social aspects as a focus of development within the institution and with collaborators for the benefit of the Peruvian population. The Universitat de València today is the result of more than five centuries of history that have allowed to accumulate some knowledge and unique documentary treasures, and that have turned it into one of the best Spanish universities. 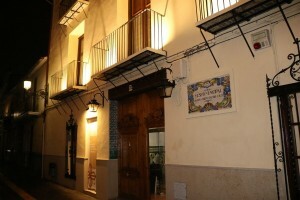 Throughout its history, the development of the Universitat has run parallel to the growth of the city, and has formed an inextricable part of its urban fabric, generating spaces for teaching, research, creation and dissemination of culture and science, as well as for the transfer of knowledge. 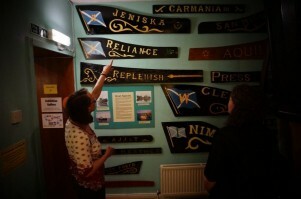 We invite you to participate in a research survey about the scope and perception of the concept of 'community museum'. "Societal challenges can lead to opportunities if approached in the right way. Europe is currently undergoing a crisis of identity, seeking to define its past, present, and future position in relation to the wider world, and to consolidate regional cohesion across generations within a wider, global knowledge economy. EU-LAC-MUSEUMS, ICOM Europe and ICOM LAC are committed to the idea that fostering inter-cultural dialogue and creativity through their regional and community museums is fundamental to this process." (Dr Karen Brown, EU-LAC-MUSEUMS Project Coordinator). 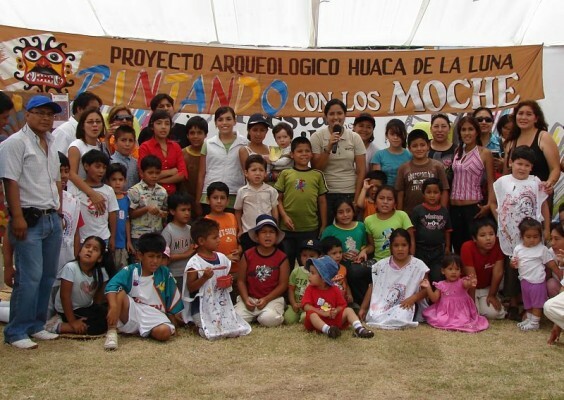 Characterize and promote the statements about historic and family memory, cultural identity and material/immaterial heritage which are emitted by the museums of the Region of Los Rios, and other museums situated in member countries from the EU-LAC Museum Consortium. Pursuing the promotion of ancestral knowledge, the bi-directional transmission of knowledge and principles between the communities-museums-universities, and strengthening the working relationship of the network of Museums. By allowing local community museums to create a network with other similar organisations, in both LAC and EU, our project, and in particular this work package, will significantly promote and aid the development of mutual knowledge and understanding of peoples, through digital (namely web) and physical in situ means. Museums are an invaluable tool in this process due to their capacity to connect the remote/digital with the present/physical understanding of the world, both in terms of its similarities and diversities. 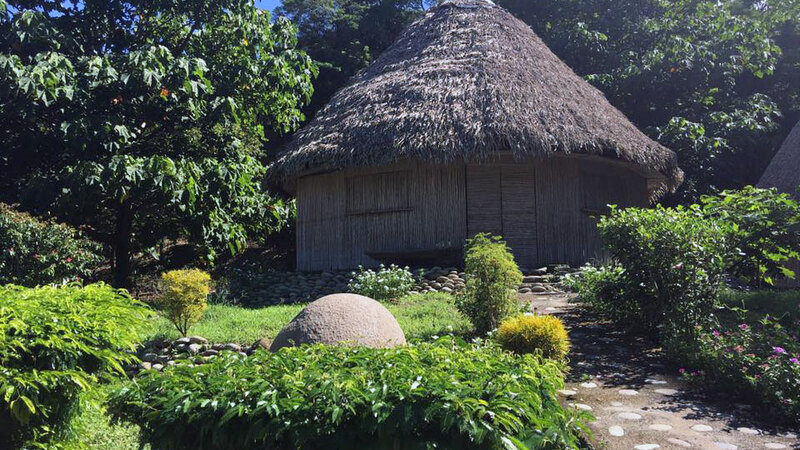 EU-LAC-MUSEUMS seeks to carry out out a comparative analysis of small to medium-sized rural museums and their communities in the EU and LAC regions, and to develop associated history and theory. To empower institutional partners within the EU_LAC project with the necessary digitisation and communication technology training and tools allowing them to fully participate in and support the development of a virtual museum of the migration experience/s as informed by the experiences and trajectories outlined. To conceptualise and develop new interpretation resources, utilising both historical and contemporary contracts (both memory and art based) in the development of travelling exhibitions and associated educational resources, making available through partnership arrangements with museums as identified. 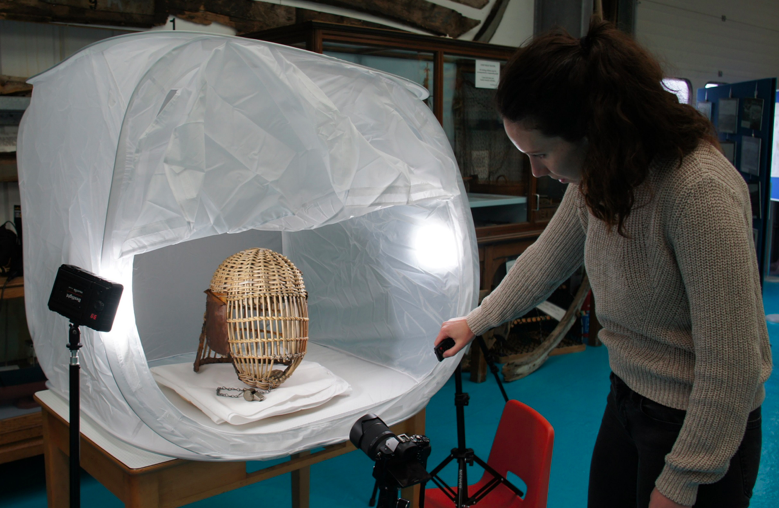 Objects, following certain criteria, are picked by museum staff to either be 3D scanned or photogrammatised. Scanning can be done only if the necessary equipment is available, which lends photogrammetry to be the preferred affordable method. Images are sent through open source software that creates a 3D file which then can be archived and uploaded to a social archiving site such as Sketchfab. As a social site, Sketchfab tracks a user’s followers, views and comments. All digital objects appear in a video player which can be embedded in websites easily. 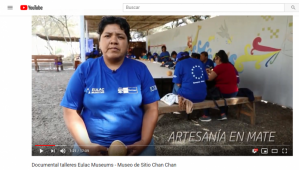 Created specifically for the EU-LAC MUSEUMS project by the University of St Andrews, the EU-LAC MUSEUMS Virtual Museum is a major research outcome that assembles digital media of cultural heritage; making it easy to access and use. 3D digital objects, 360° museum tours and community discussion videos populate the Virtual Museum as content generated from the 3D Workshops, held in three European, three Latin American and three Caribbean countries. By creating digital content from community museums all over the world, the heritage, objects and stories can be shared and appreciated by a global audience. One of the objectives of this initiative is to encourage small community museums to contribute to a global online inventory. EU-LAC-MUSEUMS Project also strongly incentivizes possible interested users to digitally disseminate this exhibition. All museums or similar institutions wanting to print in real size and present this exhibition are kindly invited to inform the Project (Email: eulacportugal@gmail.com), so to get permission and potentiate possible common interests. The research team at St Andrews have produced a Manual on creating 3D objects for community museum use. The aim of the manual is to instruct local people in how to make 3D objects using photogrammetry in particular. The manuals have been researched during and used alongside workshops in the EU-LAC project, and afterwards by community groups continuing to digitise and send data to the project. Objects, following certain criteria, are picked by museum staff to either be 3D scanned or photogrammatised. Scanning can be done only if the necessary equipment is available, which lends photogrammetry to be the preferred affordable method. Images are sent through open source software that creates a 3D file which then can be archived and uploaded to a social archiving site such as Sketchfab. Virtual tours of cultural museums allow first time visitors to explore new cultures as well as enabling previous residents to revisit and explore their family’s past. Using the social archiving site Round.Me, 360 degree photographs taken through museums can be linked together creating an immersive tour. The site allows hotspots to be added within the scenes, which can handle text, audio, images and video. The finished tour can be embedded into a website or viewed through the Round.Me site. The archiving site also takes in analysis of views, followers and comments so basic visitor data can be quantified.